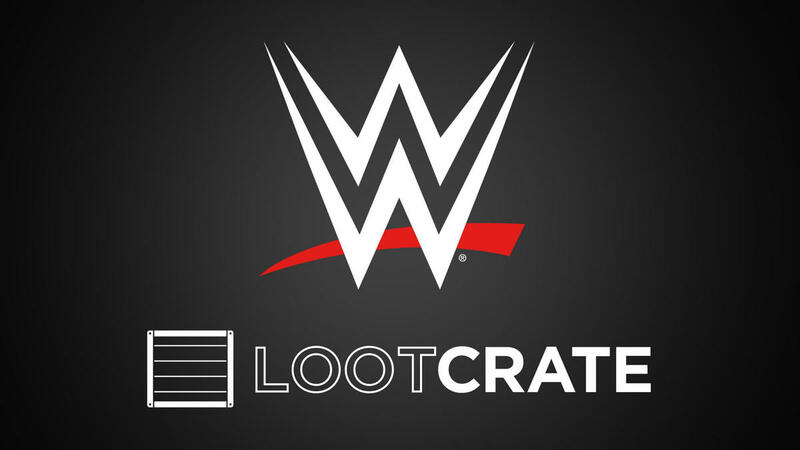 On Friday, WWE and Loot Crate announced a partnership that will bring exclusive WWE collectibles, apparel and home goods to the doorsteps of wrestling fans worldwide through a bimonthly subscription service. Loot Crate, which currently boasts more than 600,000 recurring subscribers around the world, has been providing themed boxes packed with video game, comic book, anime and pop culture merchandise since 2012. I’ve been wondering when WWE was going to get around to this. Monthly subscription boxes are all the rage right now. Over the last couple of years, brand and genre specific subscription boxes have infiltrated the market, which has been a blessing for those who have a particular preference. Companies such as Pro Wrestling Crate have already carved out their niche in the subscription box market and the highly popular Pro Wrestling Tees outlet, which serves as official apparel providers for Ring of Honor and New Japan Pro Wrestling recently launched their own service. This was a smart move for WWE to not only get in on this trend, but to partner with the most recognizable company in the game. I’m a big fan of subscription boxes. My wife subscribes to various yarn boxes for knitters, while yours truly indulges in the Star Wars and the DC Comics boxes from Funko. It looks like I may have to add a third one to the list.